Look after your Magneto electric longboard and it’ll look after you. This post actually applies to most electric longboards/electric skateboards on the market at the moment. and motors powerful, small and light enough to fit on a portable object able to carry a person at speed. Even though we have reached a point where we have technology able to carry a person 20 miles per hour and said device weighing only 6kg I get the impression that there is also an expectation that this stuff has to be in-destructable too. I was on the top floor of a car park riding in the wet, I punched top speed on the remote and must of hit a divet in the concrete floor, the board come out from underneath me, I hit the deck and as I looked up I saw our precious magneto electric longboard hurtling into a solid wall at full speed, the bang echoed throughout the car park. I looked down at my thumb and I was still holding the throttle at FULL SPEED! oops. That was a 20mph mission into the concrete abyss, however to my surprise the Magneto survived! Here are the top 4 things to be aware of and most are applicable to all electric longboards/skateboards in the market at present! 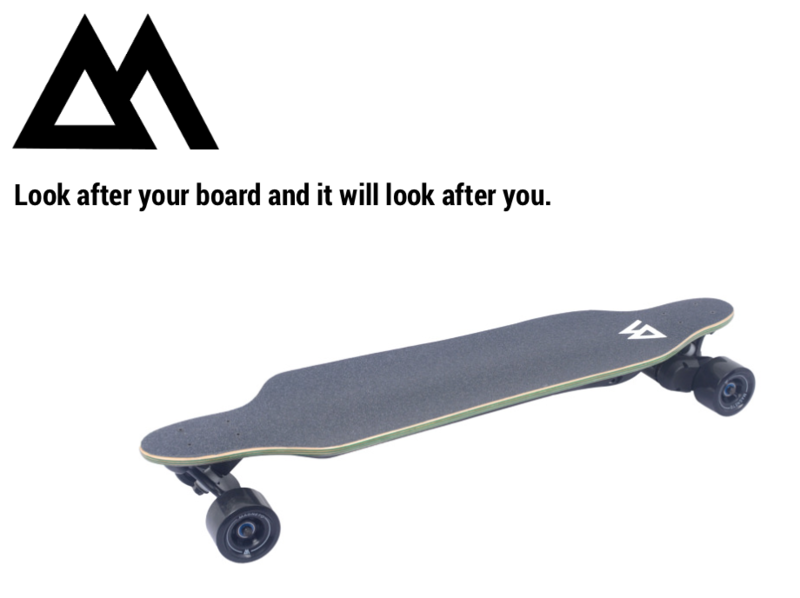 Be careful riding your Magneto Electric Longboard down steep hills with the power on, the Magneto is ok with the occasional hill, but braking downhill continuously eventually wears the motor out and you will end up with a dead board, a new motor solves this problem. When riding downhill switch the power off and skate the Magneto like a regular longboard, perhaps invest in some long boarding gloves for these parts of your journeys. Our boards are splash resistant, not water proof. Riding through light rain or on a damp surface is fine but if you get the underside saturated by riding through puddles and in heavy rain, you could end up causing a problem with the electrics. You’ll need to put you board in a warm dry place for a few days and let it dry out, this usually cures it. Riding on your Magneto Electric Longboard on very bumpy surfaces, like cobbled streets is not advised. Without a doubt the remote is the part that is the easiest to break so if you bail, of course- don’t die doing it, but protect the remote where possible and use the wrist-straps provided. I hope this post clears up some questions you might have. Our boards are Frickin’ awesome and we would rather be completely transparent so everyone can keep riding! If you don’t do any of the 4 listed above expect your electric longboard to serve you well, if you do give us a shout and we’ll help you diagnose any problems and send you the parts required to get back riding. Hell, even if you are not looking for an electric longboard and you’re here by accident you’ve still probably played an skateboard game! from Tony hawk to the Simpson’s they’re has been a variety of skateboard games over the last 20 years, lets delve in and get nostalgic. Indeed one of the very first, if not the first skateboarding game, made by absolute entertainment. Hilariously so old that skateboarding was not used as single term at that point “skateboarding”. However, kudos to anyone who is the first despite the poor graphics. The titles a bit of mouthful, eh? We thought one of the early skateboard titles on the NES was worth a mention? Anyone play this? Probably the first title we’re mentioning that you may briefly recollect, Skate or Die one of the members in the EARLY skateboard game hall of fame. If you love the retro scene and have never played this, check it out, its so typically indicative of the Retro era its amusing. This is a 3rd person skate anywhere type get up, its worth mentioning, but not quite as good as some of its competitors in this era in my opinion, however it did feature some of the pro’s: Daewon song, Ed Templeton, Cara Burnside. Swiftly moving to the next generation now and its an ESPN game, unlike previous releases this version featured skateboarding only. X-games got mixed review and did live up to the hype or compared to games such as Tony Hawk’s pro skater 3. Although one thing that was pretty cool, is it did feature a soundtrack from Linkin park. Jumping forward on to yet another generation it brings us to nearly now in terms of graphics. After Tony Hawk had dominated the skateboarding market, Skate was finally a title to stand up to the big bully Hawk. Skate also had a note-worthy online mode. Shaun White is super well known for snowboarding, it turns out this dude is multi-talented. 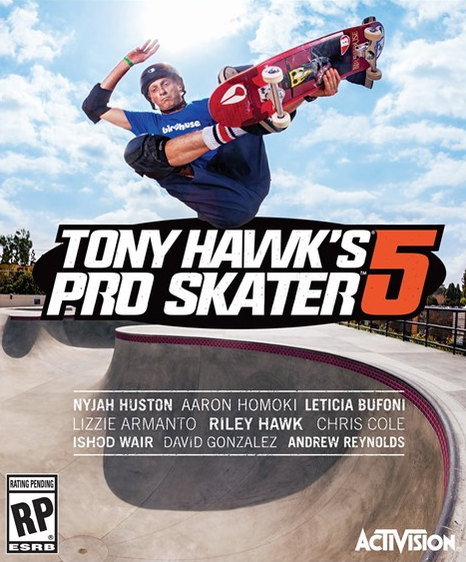 His renown for his Skateboarding tricks and contest victories- so he got his very own video game, woo hoo! Sadly it received a less than average review, here’s IGN’s take. Ps- if you’re real life skater check out our post on safety. Sadly this game was destroyed by the critics, we were hoping the first leap into the generation of today would have been a big one, sadly not. Check out our post Riding an electric skateboard like a Ninja for inspiration. It turns out Springfield has been converted into a Skatepark for the annual Skate tour. All the voices in the game were recorded by the actual actors. Playing games really is no substitute for the real thing, although we all like to chill with a good game in front of the TV now and then and I had some great times playing some of these titles. Now lets take a step back to when most of us were sitting around in our underpants playing Mario Bros on the Nes. I wonder if it wasn’t for pioneering companies like blind whether we would even exist, whether the electric skateboard would exist? Whether Skateboards would even be ridden in the present day? That’s why I decided to write a brief article about the pioneers of the skateboard back in the day. The topic of today’s discussion is “Blind Skateboards” which were considered the authority in the whole world in the early 90s, as Blind was on the peak of its success during that era. Skateboard history started with Blind and basically the company is a pioneer in the skateboard business. Blind is the renowned Skateboard Company established in 1989 by Mark Gonzales under the ownership of Steve Rocco’s World Industries Company. 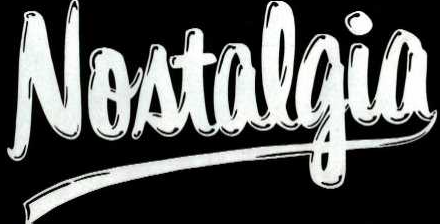 The company’s name is result of the previous sponsors of Mark Gonzales known as Vision Skateboards. Mark Gonzales was the first skateboarder of the company who was in the professional field while the other well-known professional skateboarder Jason Lee was later added in to the company. Guy Marino, Rudy Johnson (From Powel Peralta) were then signed along with Jordan Richter as the vert riders of the company. Danny way another of the Blind’s skateboarder rode for only a brief period of time while the standard pink color vehicle and the skateboard of the company was intended and launched for Danny way. According to the Tireless wheels review of Blind skateboards, it is clearly stated that “Blind” was one of the largest skateboard companies in the entire world, because of enormous sale of company’s skateboards and jean’s products. The company relaunched its famous pink logo as the celebration of their successfully completed 21 years, and especially for celebrating the success of Blind’s 1990s global recognition.The company decided to incorporate the 90s design once again but in the meantime the company had the logo of stylised grim reaper. A few features of Blind skateboards, which positions them among the top ten skateboards according to the skateboardabout.com list of top ten skateboard deck brands back in the 90s. Riding your Electric Longboard Safely. This post will cover, riding Magneto with the power on and off, we will discuss riding your board at some points as if it were a regular longboard as some folks like to hop down a hill from time to time. (make sure you switch the power off). Electric Longboarding or just longboarding can be an extraordinary approach to releasing yourself. Things can be disorganised and all around unpalatable at work or with companions occasionally, and flying down a road can be a damn decent approach to loosening up, hitting the Magneto acceleration button and just holding it there! However, as cool as the buzz may be, I have more than enough experience to let you know that you’ve gotta ensure you’re finding a way to verify you don’t wind up bleeding or worse. 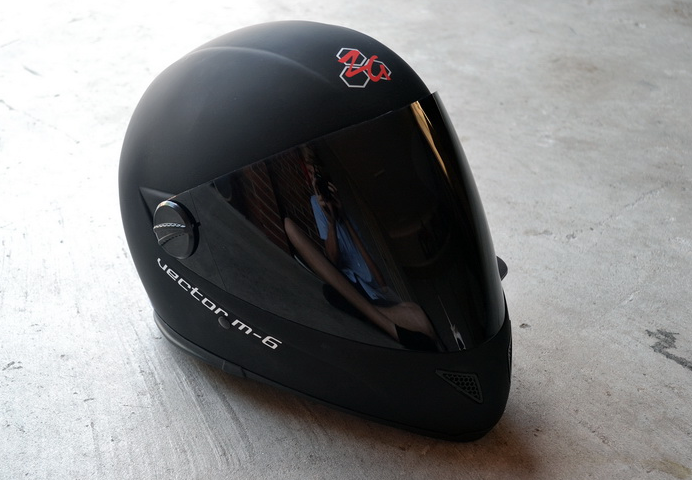 Alongside the correct safety gear, you ought to ensure you’re riding in the right places, because bailing at 20 mph is not going to do much damage, in fact, it’s pretty easy to just jump off the electric longboard and run alongside it, but slamming into something at 20mph, a tree, a car, a person! That’s when the paramedics arrive. I’m beginning with the obvious, ensure your head remains on top of your shoulders and unharmed by wearing an appropriately fitting helmet. Also…dump the earphones. It’s always better to have the ability to hear the activity, personally, when I ind top speed, I find the noise of the wind rushing past me pretty cool! Of course our boards come with a brake (must not be used with downhill riding) when switched on but if, in the event you decide to us it as a regular longboard, you’re going to need some decent longboarding gloves if you decide you actually like your digits where they are! Everyone who rides realises that a tumble now and again is unavoidable. There are 2 types riders, those that have fallen and those that are going to fall. Since more often than not a fall is something you couldn’t have anticipated, wearing elbow and knee pads can be a decent approach and us at Magneto strongly advise it at all times. Since you can travel at a speed near that of a moped, the knee and elbow pads will prevent any serious injury to those areas allowing you to skid and go with the fall more, which lead me to the next paragraph. If you end up very nearly falling and you have a few moments to respond, knowing the best possible approach to fall can spare you agony. Moving into and out of the fall, for an occasion, can spare your wrists and knees. Free runners are huge supporters for appropriate falling strategies and rolls. As an electric longboarder/longboarder, you can profit by some of what they’re teaching. If you are pretty sure you are going to crash! Bail! As said before hitting something and jumping off and running with the board are 2 completely different things. (we need to say; Do not ride in traffic and on roads but we’re going to talk about it anyway as you probably will ignore that advice). Cars most likely won’t love you as you ride regardless of what they do, so to be protected when riding on open streets don’t start weaving left and right and verify you are “taking the path” Let the car’s pass you and of course keep out of the way. Ride like a bicyclist, with the activity, not against it. Use, lanes provided and follow the highway code. (of course abiding by laws). When you ride during the evening, you could miss a potential hazard, things that could lead to a fall, things like glass, rocks, street kill, whatever… yet more terrible than not having the capacity to see is not being seen. In the event that you are crazy enough to ride during the evening, light up with a few LEDs for your protective head gear and/or board, also high visibility clothing. You should keep the board in a dead straight line as much as possible and do not exceed walking speed, however, we completely advise against this. Lastly, Comply with the Rules/law of the Road, use cycle lanes and clears paths, this is the best way to ride an electric longboard. Stay safe guys. Riding Magneto is fun, but it’s not worth getting injured over riding carelessly.